This superb galaxy owes its name to its characteristic Mexican hat shape. A dark band of dust on its equatorial plane appears to cut the galaxy into two. The Sombrero galaxy is a typical spiral galaxy (like our own) with a central nucleus and arms that wrap around it. M104 loses some of its superb aspect from European latitudes because it is quite low on the horizon; observed from Africa it is an extraordinary cosmic object. 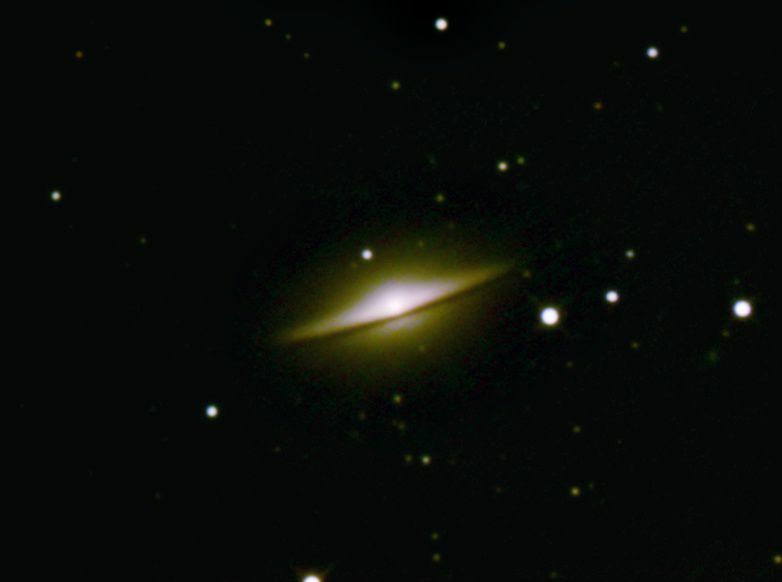 Photographed by "Chamois" (the person's pseudonym on the Futura-Sciences astro forum) with a one-hour exposure using a webcam fitted to a 20 cm telescope.